Did you promise yourself that 2011 would be the year that you would take control of your finances and start saving money? Are you having trouble sticking to your new year’s resolution? Well maybe there’s an iOS app that will make things a little easier for you. 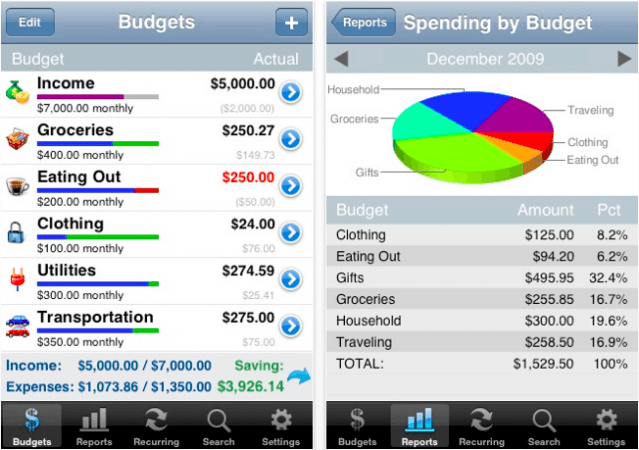 Here’s our list of the best iOS apps that may help you succeed on your mission to save money. So that you don’t just forget about your resolution by the end of January, we’ve compiled a great list of apps that will help you stick to your targets and achieve your goals. We’ve divided them up in to the most popular resolutions, and in this post we’ll look at the best iOS apps to help you save money. We’ve chosen apps that will help you track where your money is going, apps that will help you create a budget and stick to it, and apps that will help you find the best deals in town. Check them out after the break and get help to save money! In order to save money, you need to be able to keep track of your income and expenditure so that you know where your money’s going. 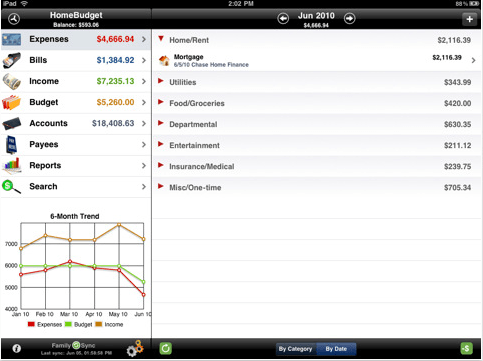 HomeBudget is an integrated expense tracker designed to help you track your expenses, income, bills, and account balances. It helps you budget by allowing you to analyze your expenses and your income, which you can view on helpful charts and graphs. Use HomeBudget to keep track of recurring bills and expenses, to keep a record of receipts, to remind you when bills are due, and to monitor your checking, savings, credit, debit, and cash accounts. What’s great about HomeBudget is that it includes a unique feature called ‘Family Sync,’ that enables a group of devices within a household to exchange expense and income information automatically over the air, and work together within a single budget. If you pay hundreds of dollars a month on credit cards, store cards, and loans, you’re going to find it hard to save money. Pay Off Debt uses the ‘debt snowball method’ to effectively help you pay off your debt as quickly as possible, helping you to reduce your debt and eliminate monthly repayments, leaving you more money to put away in to savings. Pay Off Debt helps you organize and monitor your debt snowball plan to keep you on track and motivated, right up to your very last payment, as you stamp out one debt after another. The debt snowball method focuses on your lowest credit balances first, helping you put as much money as you can in to them while still making the minimum payments to your other creditors. Once you’ve wiped out one debt, focus on the next and repeat the process again. Before you know it, you’ll soon be wiping out one debt after another and you’ll actually be excited about debt repayment, knowing that you have a planned debt-free date. Pay Off Debt helps you to reach debt freedom faster and keeps you motivated right until the end. RedLaser is an incredibly accurate barcode scanner that allows you to shop smarter and search for the lowest prices for the things you want to buy. 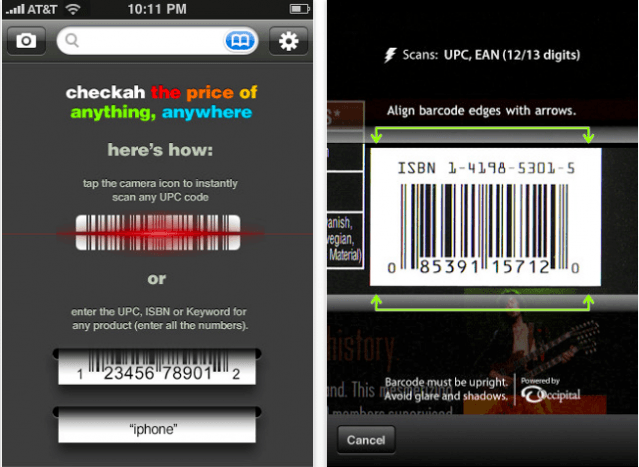 Using state of the art barcode recognition, RedLaser can read virtually any product barcode, and then searches for the best prices for that product on Google, TheFind, eBay and Half.com. Before you make any big purchases it’s a great idea to give them a quick scan with RedLaser – you never know how much you could save by buying elsewhere, and those little savings will soon add up! AceBudget is another application that enables you to easily keep track of the money you spend and helps you stick to a budget. It’s packed full of features and allows you to create daily, weekly, monthly, semimonthly, quarterly, and yearly budgets for an unlimited number of categories. Schedule recurring transactions for your expenses, set reminders when your bills are due, view graphs that detail your spending, compare historical data and monitor your financial situation over time, and much more. AceBudget lets you share transactions with friends and family via email, and your recipient can simply click on the link they receive to add it to their AceBudget app. Export your data in CSV format to keep a backup on your computer, and set a passcode for the application so that no one else has access to your data. AceBudget makes it easy to monitor your money and helps you identify ways in which you may be able to cut back in order to save. The Pricecheckah app is another great way to compare the prices of products before you make any purchases. 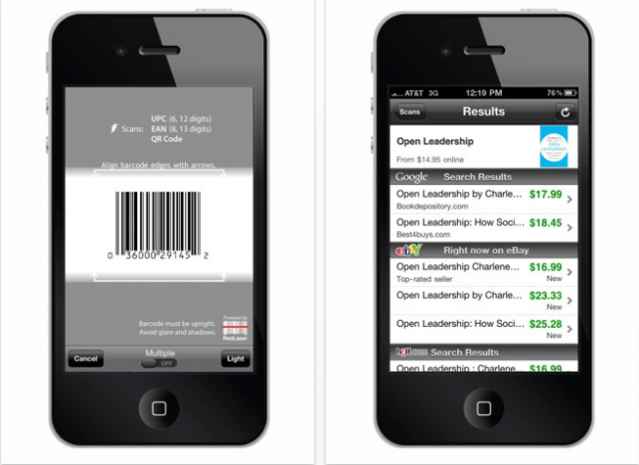 Add up to 5 retailers of your choice and compare prices between each of them every time you scan an item. You can change your choices at any time to ensure that you select the best stores depending on the type of product you wish to purchase, and you can store your search results on your Pricecheckah account so that you have access to them on your home computer. With a quick scan of each product before you buy it, you could easily save yourself a small fortune each year by identifying the cheapest retailers. If you find it a little difficult to manage your budget on a monthly basis, it may be easier for you to take things week by week. My Weekly Budget lets you focus on a simple spending target for each week and stay within your means over short-term periods. If you can stick to your weekly budget, you’ll soon save yourself money over time. My Weekly Budget is incredibly simple to use, and very easy to understand: first, set yourself a weekly budget target, then keep a straightforward record of your spending and instantly see how much of your budget you’ve used up, and how much you’ve got left. If you have a habit of making purchases you don’t need each week, setting yourself a weekly budget can motivate you to stick to your target and refrain from spending above your means. Budgeting week by week can be a little less daunting and a lot easier to manage. 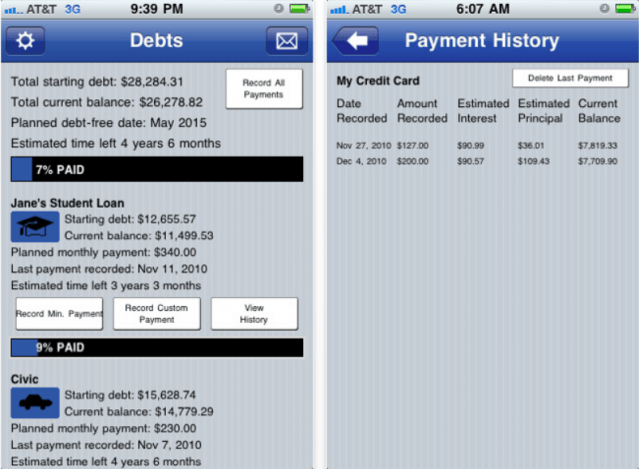 Have You Saved Money With The Help Of An iOS App, Or Do You Have Any Suggestions For Us? 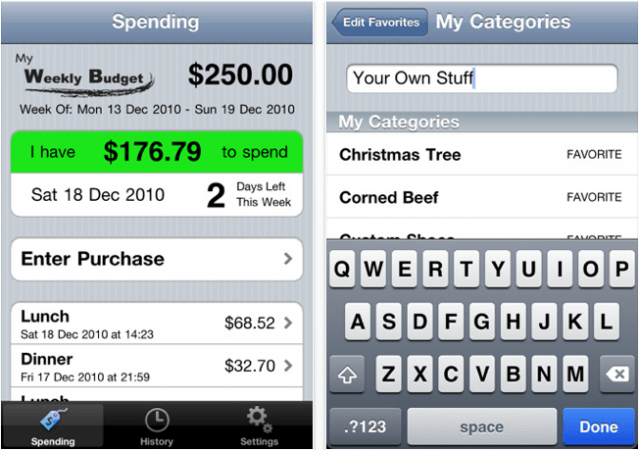 If you have used an iOS application on your iPhone, iPod Touch, or iPad to help you save money, we’d love to hear your story. Leave us a comment and tell us about the application you chose and how it helped you manage your money better and put some pennies away. We’ll choose the best story to feature in a follow-up article at the end of this month. Even if you don’t have a story, but you’ve found a great money-saving that you’d like to shout about, let us know! We take a look at every suggestion and we’ll update this post with the other great apps that we come across.